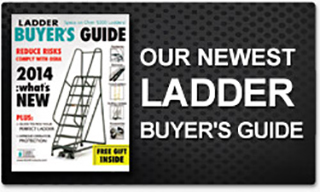 Returnable Equipment Racks - EGA Products, Inc. Custom designed and manufactured for brand leaders in the international HVAC market, these Returnable Shipping Racks transport delicate fan blades from building to building or point-to-point within a manufacturing environment. 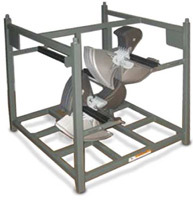 Each features a unique arm & hook system that can nest two rows of 20 proprietary blades for a total capacity of 40 units—without tie downs or any waste-producing packaging. The open design leaves parts easily assessable to assemblers. Also see Collapsing Returnable Equipment Racks.